The Gorkha Janmukti Morcha's worries deepen in the hills ahead of municipal polls with three central committee members resigning from the party in Mirik and more than 400 secondary school teachers switching their allegiance to the Trinamul Congress here. In Mirik, S.M. 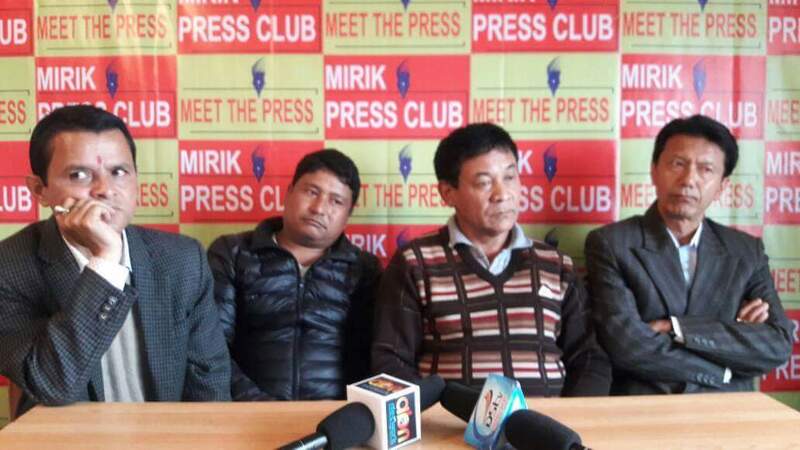 Ghisingh, Gyalbo Lama and Parag Sharma, the three central committee members of the Morcha, resigned from the party yesterday, along with Mirik subdivision youth vice-president Gautam Pradhan, ward 4 youth president Anand Chhetri and ward 7 youth committee member Sumat Tamang. Speaking over the phone from Mirik, Ghisingh, who was also the Morcha's assistant general secretary, said: "There were four central committee members from Mirik in the Morcha. L.B. Rai joined Trinamul some weeks ago and we, the rest of the three, have decided to tender our resignation from the party." The Morcha leaders' primary grouse stems from the selection of candidates for the Mirik civic election scheduled for May 14. "Gyalbo Lama and I wanted to contest from wards 9 and 3, respectively. However, Morcha observers Jyoti Kumar Rai, R.B. Waiba and GTA Sabha members sidelined us. We wanted to contest the election for better administration of Mirik municipality but they have selected their own candidates for various non-political reasons," said Ghisingh. Jyoti Kumar Rai, who is also the assistant general secretary of the Morcha, said: "We were sent as observers. But even S.M. Ghisingh and Gyalbo Lama were members of the committee that was supposed to finalise the candidates. They wanted to contest the elections but we found that except ward 8, there were many aspirants for tickets in other wards. We then asked the public to put forward the names which were sent to the Morcha president for the final selection." In Darjeeling, 423 secondary teachers today quit the Janmukti Secondary Teachers' Association, an affiliate of the Morcha, and decided to join Trinamul. #The teachers some of whose jobs were regularised by the GTA in 2012 have joined the West Bengal Hill Trinamul Secondary Teachers' Association. Anil Sharma, the vice-president of the Trinamul association, said: "We have realised that we need to be under a big umbrella to solve various issues plaguing the education system in the hills. Our appointments were approved by the GTA's executive director but not by the district inspector of school. As a result, we fear that we might not get various benefits." Told about the problem, Roshan Giri, the Morcha general secretary and the GTA Sabha member in charge of education department, said: "We have been telling the state government about the DI's approval. However, the state government is indulging in politics on every matter."